It’s easy to look at a celebrity and say, “They’re successful because of the money they have.” This might be the case for some, but many successful entrepreneurs started from the bottom and worked their way up. For example, there are a lot of successful female entrepreneurs who started with nothing - we list just a few of them below. Adopted at birth, Lum was raised by a woman she called her “grandmother.” Unfortunately, her adoptive “grandmother” gambled all of their money away, and they had to move into a shack without running water. That was just the beginning of the struggles Lum had to face while she grew up in Malaysia. Feeding off the unfortunate circumstances of her childhood, Lum decided to move to Singapore and work toward a chemistry degree. Her background, along with her higher education, would become the pillars of her success. At 28, she founded Hyflux, which offers global environmental solutions. She is now one of the world’s most revered businesswomen. Born and raised in India, Nooyi received her bachelor’s degree in Physics, Chemistry, and Mathematics before moving to America. She got into Yale School of Management and had to work to support herself. Her work ethic and perseverance ultimately paid off when she became the CEO of Pepsi Co. in 2006 - the first female to lead the company. While at Pepsi Co., she restructured the company’s global strategy. In 2018, she was named one of the Best CEOs in the world. Burns grew up in social housing in New York with her mother; she lived a life far from privileged. Her mother ran a daycare center and took different cleaning jobs to put Burns through a Catholic prep school. She succeeded in school and furthered her education at the Polytechnic Institute of New York University (now known as NYU Tandon School of Engineering) while also completing her master’s degree at Columbia University. Her internship at Xerox eventually landed her a job at the company, and she became its CEO in 2009. This made her the first Black woman CEO to head a Fortune 500 company. Cole was born and raised in Florida. Her father was an alcoholic, but her mother was hardworking and fed the family on $10 a week. At 17, Cole started working at Hooters to help make ends meet. Although she planned to study engineering, Cole’s high-school job at Hooter’s turned into a life-changing opportunity; the franchise sent her across the globe to open new restaurants. Even though she didn’t receive her undergraduate degree, Cole went on to become vice president of Hooters at age 26. 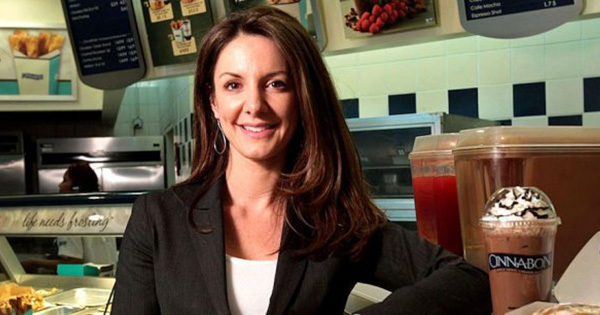 From there, she worked at Cinnabon and was the youngest CEO to star on Undercover Boss. In 2015, she became the COO of Focus Brands, the company that owns Cinnabon, Moe’s, and Auntie Anne’s. This list wouldn’t be complete without Oprah. Undoubtedly one of the most famous female entrepreneurs out there, Oprah has inspired people ever since she stepped into the public eye. She grew up in poverty in inner-city Milwaukee, and while there, she was sexually assaulted and raped. Due to the unhealthy environment, her mother sent her to Nashville to live with her father. His positive attitude helped her excel. She is now a celebrated multi-billionaire with an incredible ability to inspire and influence.